Ever wanted to combine music with endless running? Pop Dash has you! Maximum Play's Pop Dash is an interesting specimen. It takes the joy of endless runners and melds it with music and rhythm gaming to create a symphony of shapes and color that wouldn't be out of place on a console or handheld. Yet, it's a mobile game, and there are tons of licensed tracks on the game for you to peruse as well. 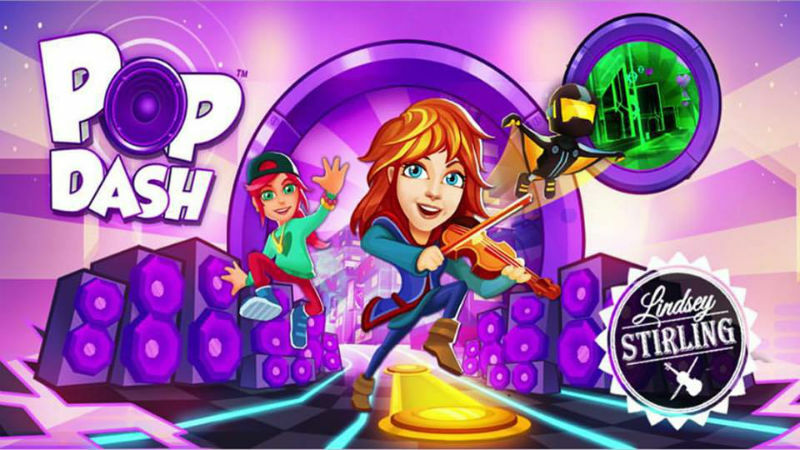 Pop stars like Nicki Minaj, Ariana Grande, and even Lindsey Stirling have contributed tracks to the game, and as you run you'll need to avoid obstacles as well as swipe in a specific direction to "hold" notes a la Guitar Hero and other titles of that ilk. There's a dearth of rhythm games in the world since before the revival of Rock Band and Guitar Hero, so it's nice to see mobile games attempting to fill the void. The app itself is free, even though it's got microtransactions (of course) but it's still worth trying if you've got a spare few minutes. Maybe try it after all the tryptophan is out of your system this Thanksgiving evening. That's when everyone whips out their phones anyway, right?